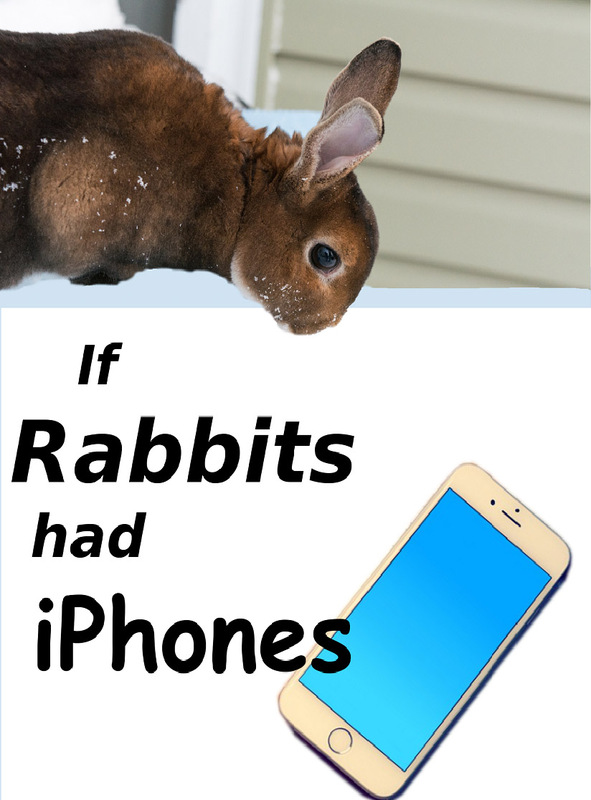 What if our rabbits were tech-savvy? At my house, we sometimes joke about what rabbits would do if they used modern technology. As for my rabbit, I’m quite sure that he would want a smartphone. Not just any old smartphone, but the iPhone 6 Plus. And he would want it NOW. If I told my rabbit he didn’t need the iPhone 6 when I just got him the iPhone 5S for his birthday, and when I am myself still stuck with something out of the Blackberry age, he’d just say that if the 5S was good enough for me, I could have his. But next time he went to a show, all the rich Holland Lop kids would have the 6 Plus, and he’d claim the judges really do factor this in when it comes down to choosing Best of Breed. He’d say I’m so lost in the dark ages that I might not mind using a “smart” phone with an IQ of 12, but he knew I DID care about winning Best of Breed. If none of this would convince me, he’d proceeded to bite on his cage bars until he got what he wanted. 1. Watches. They’d employ their stopwatches (or smartwatches?) to make sure we came out to feed them at the right time of day. Not just on our schedule, but theirs, which means 6:30 morning and night. If we were a moment late, they’d pull out item #2: Buzzers. 2. Buzzers. They’d develop buzzers that would ring an alarm system in our homes. They’d sit on those buzzers until we brought out more food. They’d also sit on them at random times throughout the day or night when they wanted a treat, petting, or to come out to play. 3. Social networking. They’d cease communicating with the rabbit in the next cage and seek all their social interaction on www.RabbitForums.org. I guess that’s a good thing, because they’d stop chewing bald patches on each other’s heads. 4. Shopping for themselves. If rabbits could use Paypal, they would go shopping for bunny toys online. Of course they don’t make incomes, so you’d have to give them an allowance. Make sure you give them as much as your other kids. Gotta be fair. 5. Shopping for you. Sometimes rabbits would use their virtual wallet to purchase things for their devoted caretaker, you. They wouldn’t approve of your cotton sweatshirt and they’d buy you an ugly nylon jacket instead so they can scratch and bite at it. (Have you ever noticed rabbits love that stuff?) They’d think your cologne is atrocious and order a replacement, then ask for reimbursement since they blew all their allowance on you. 6. You have a garage door opener. They’d have a cage door opener. Sounds fair, right? 8. Data? Let’s not even go there. 9. Selfies. They’d spend all day trying to take the best selfie for your rabbitry website. This might actually save you some time. 10. Self-diagnosis. They’d log on to “Vet MD” or some medical website, convince themselves they have snuffles, warbles, and Tyzzer’s disease all at once, order expensive drugs on your card… and then let you know about it. BONUS: And lastly, if rabbits were technologically savvy they might write a Standard of Perfection app so we don’t have to keep referring to the hard copy. That would also be nice. But problem is the SOP would turn Wiki, because each rabbit would hack in and rewrite it to precisely describe itself. So although it doesn’t sound like a good thing at first, I guess there would be both pros and cons to our rabbits having modern technology. 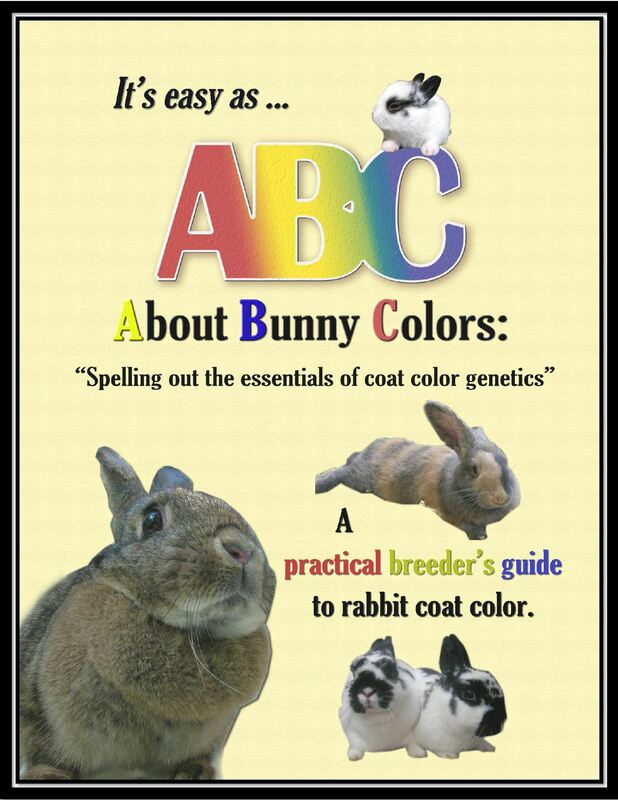 But since most bunnies are too young to browse the internet by themselves, make sure you visit RaisingRabbitsBlog.com for them for lots of tips on bunny care!